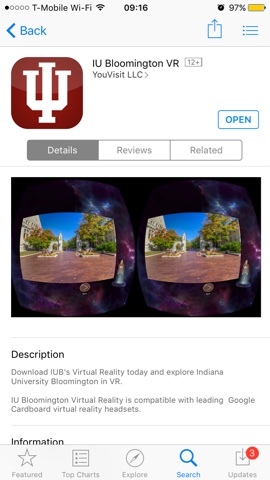 Prospective students to Indiana University Bloomington can get a 360 tour of the IU campus through an app, available for Apple and Android phones. “Walk through the Sample Gates. Check out the historic Old Crescent. Breeze through the Arboretum. 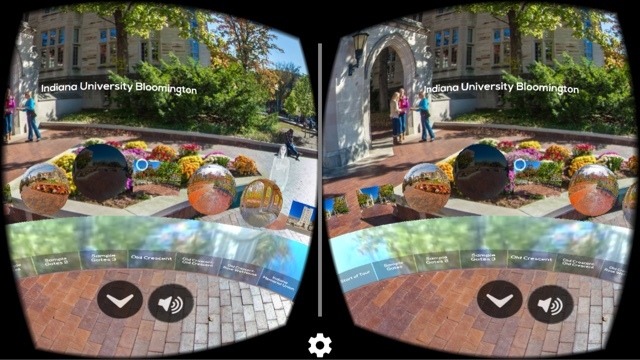 Get a sneak peek at a residence hall neighborhood.” The app requires a Google Cardbord viewer. Sample a 3D 360 Video from the Vuze camera! Insta360 4k: first consumer 360 4k cam now shipping!